Like many people, I noticed that the Kobo Aura One and the 2017 Kindle Oasis are similar in many ways. The idea is to compare these two readers! As I have not yet been able to get my hands on these readers, Rest assured, the video is quite telling. 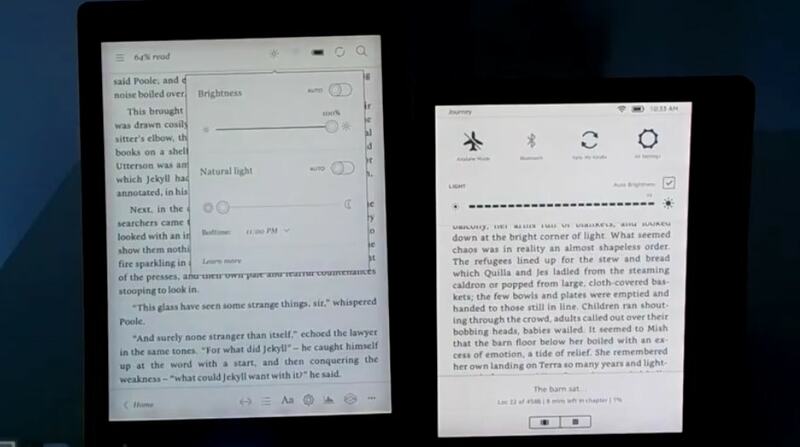 The Kobo Aura One is on the left of the screen and the Kindle Oasis on the right. The first thing you notice is that the Kobo Aura One offers a slightly larger screen (7.8 inches) than the Kindle Oasis (7 inches). If the screens are different in size, the pixel density is the same. This means that the accuracy of the characters and text on the screen will be the same on both models. Both readers have a touch screen, lighting and water resistance. However, the ebook readers: Kobo Aura One and Kindle Oasis are not completely watertight, but they will withstand a few minutes immersion in water (if the ebook reader falls in the bath, in the shower or in a shallow pool). On the Kindle Oasis side, there are two physical buttons that allow you to turn pages using one hand. Something quite practical once used and not found in Kobo Aura One. There is also a magnetic cover on the Kindle Oasis and an aluminum background that seems quite resistant (the bottom of the Kobo Aura One seems plastic just as resistant). The weight of the two reading lights is substantially identical. So we can not really differentiate them in this aspect. 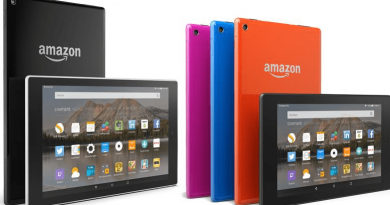 Here are the obvious things when comparing Kobo Aura One and Kindle Oasis. But, we will see that there are also some details that make the choice not so easy as it seems. As we have seen the screens are not the same size. 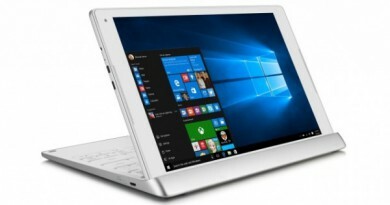 However, they have the same pixel density per inch so that both screens are accurate and resolutely upscale. 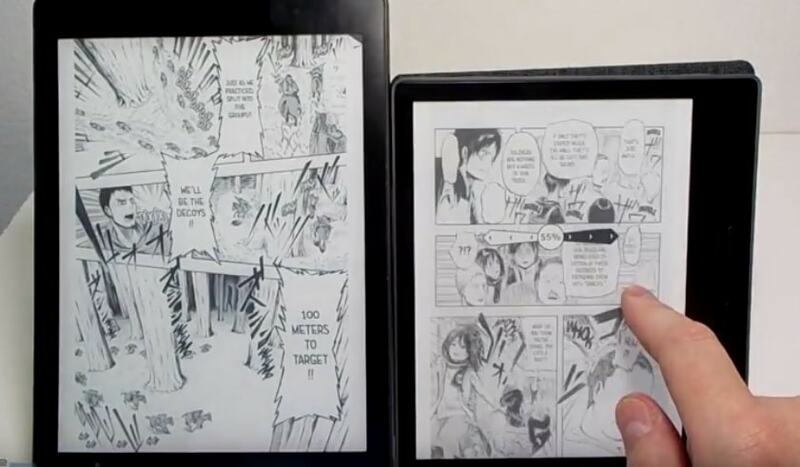 They are both supplied by the same manufacturer: E Ink. 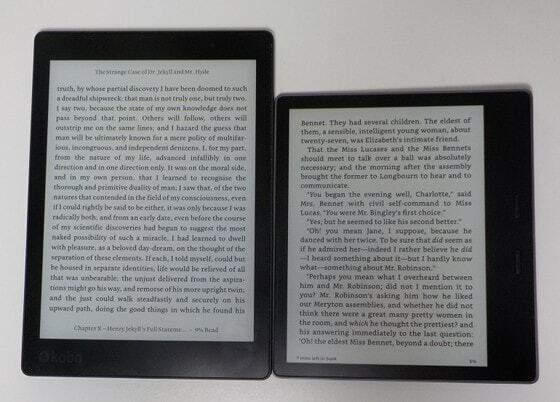 But, beyond the purely technical aspect, we can compare the small details and differences of the screens of the Kobo Aura One and the Kindle Oasis. These shades are introduced by outdoor equipment (led by lighting, for example, anti-reflection treatment on the glass, etc.) but also software. 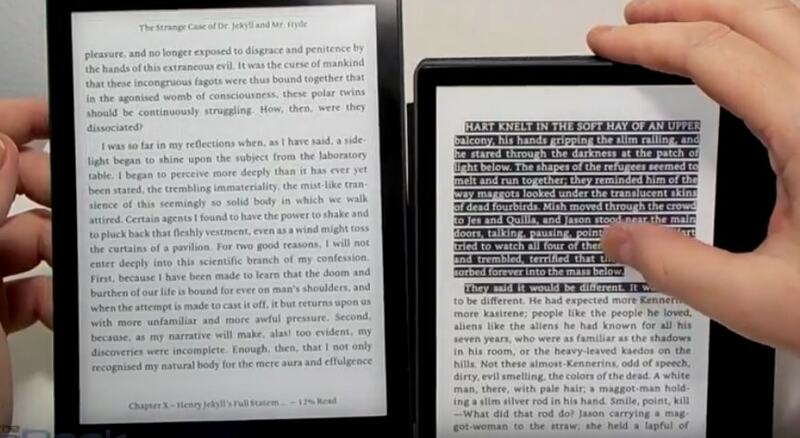 First, if you push the light to the maximum on both readers, we see that the ebook reader Kindle Oasis is more powerful and clearer than the Kobo Aura One. The software of the Kobo Aura One nevertheless makes it possible to carry out a filter of the blue light. So we can manually make the screen more “orange/red” if you find it more comfortable for the eyes. This is an option that can not be found on the Kindle Oasis. 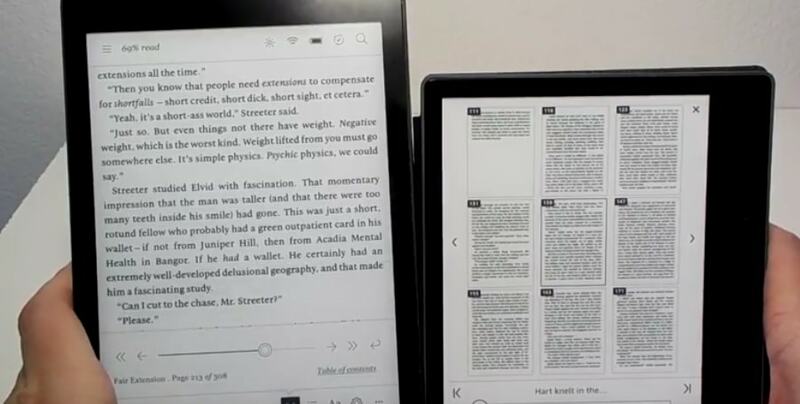 Both readers also have an option that allows the eReader to automatically adjust the brightness of its display to the brightness of the room in which you are reading. An option that can be very convenient if you carry a lot of your reader or read in different places. 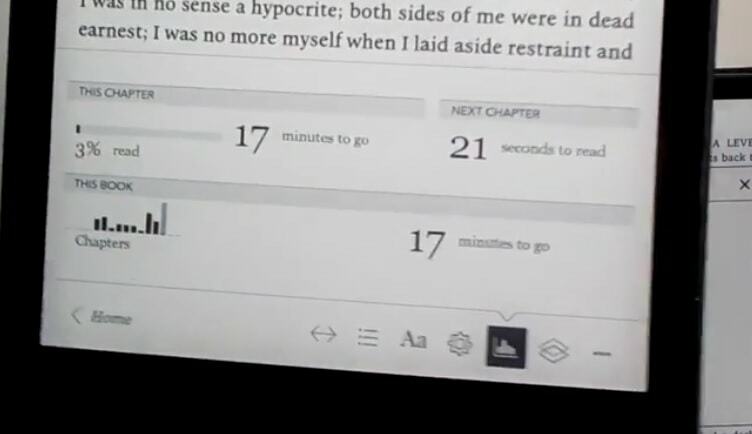 When turning the pages of a book it seems that the Kindle Oasis is faster than the Kobo Aura One to display the new page. 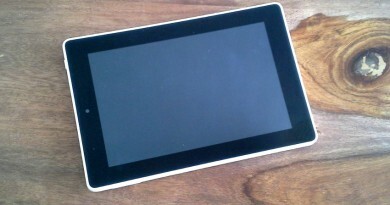 Nevertheless, it is difficult to measure and the Kobo is also doing very well. When you select a word for its definition (for example), the Kobo Aura One is faster than the Kindle Oasis. If you have to select a complete sentence or a whole paragraph of text, the interface responds very well to both readers. As for the choice of the font, there are much more options on the Kobo than on the Kindle. But on both machines, the fonts are well chosen and should meet the needs of the vast majority of readers. There are also more options for setting margins and spacing between lines on the Kobo Aura One. However, an interesting option is to read in “landscape” mode on the Kindle Oasis. This setting does not exist in the Kobo eReader. 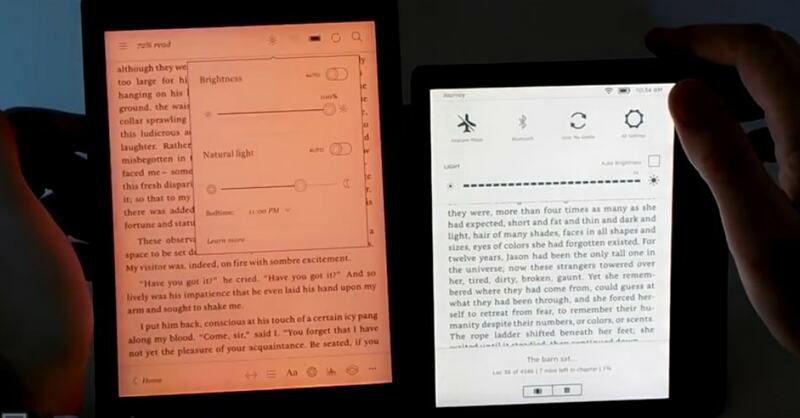 It is also possible to invert the colors of the page and text on the Kindle Oasis (white characters on a black background) what the Kobo Aura One does not offer. So if Kobo has an advantage in terms of text customization options, the Kindle is more efficient in terms of navigation between pages. If you go back and forth in the ebooks you read, you’ll appreciate the Kindle’s options: multi-page view, fast scrolling, and more. Finally, I’m quite fond of reading statistics on eBook readers. If the Kindle Oasis is quite simple ( an indicator of the time remaining in the book or in the chapter, percentage of advancement in the book), the Kobo Aura One offers something more complete at this level. I do not think to have so many numbers are needed for reading, but it’s always nice in case you feel the need. Note that we also have additional features much more complete on the Kindle Oasis (integration with Goodreads, X-ray, etc.) but I do not find them necessary for a good reading experience. Here’s a big difference: You can listen to Audible audiobooks with the Kindle Oasis. 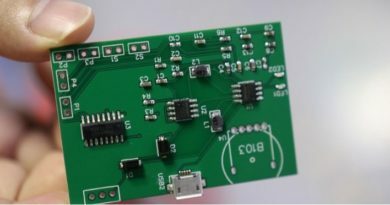 For this, it is necessary to activate the Bluetooth on the e-reader and connect a speaker or compatible headphones. 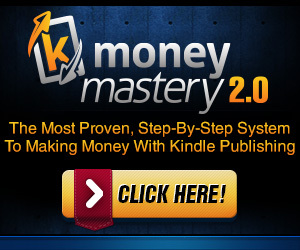 Of course, you will also need to have an Audible account and audiobooks. 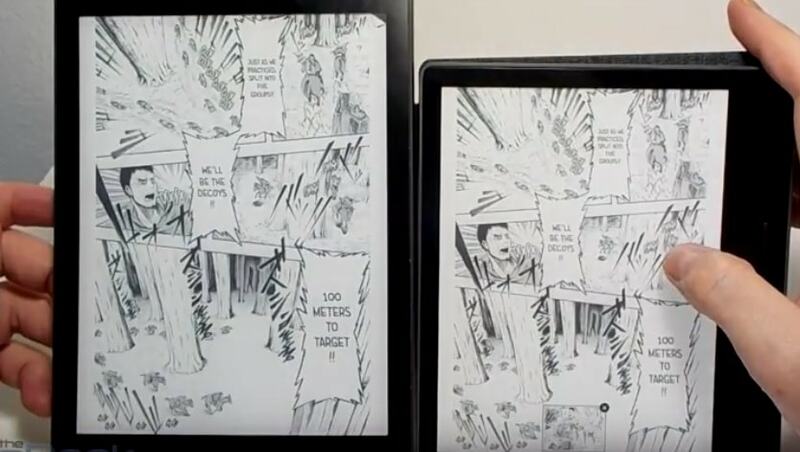 It is possible to read comics on both ereaders (comics, manga, etc.). We see that Kobo has made many efforts to make BD reading easier on the Kobo Aura One. Nevertheless, I think that the Kindle still has an advantage thanks to its “guided view” which allows to zoom in on a box of the page and then to go to the next box by pressing the screen. Also, I find that the interface of the Kindle Oasis is slightly faster for reading and refreshing comic pages. We see it better on the zoom in the video. The Kindle Oasis buries the Kobo Aura One with the feature that lets you quickly scroll through the pages of the comic to find the one that interests us. It’s even pretty impressive to see what an electronic ink screen is capable of doing now. Both readers support reading PDFs, but it’s much better on Kindle Oasis. Be careful, this does not make the Kindle Oasis a good machine for PDF reading. It’s just that it’s more usable for this format than the Kobo Aura One. If you really want to read PDFs, I think it’s even better to turn into a touchpad rather than an ebook reader. I think both readers are worth it. The Kobo Aura One has an advantage that the video does not speak: it is compatible with the file format Epub which is quite common. 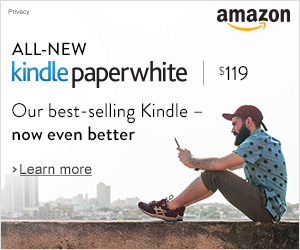 With the Kindle Oasis, you stay in the Amazon ecosystem. 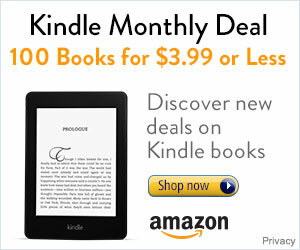 If you already have Amazon ebooks, you can choose this machine. As I master the conversion of Epub files (with Caliber as software), I would tend to leave for a Kindle Oasis that seems slightly better on the refresh of the screen. But it’s almost nagging because you probably understand that these are two very good readers!